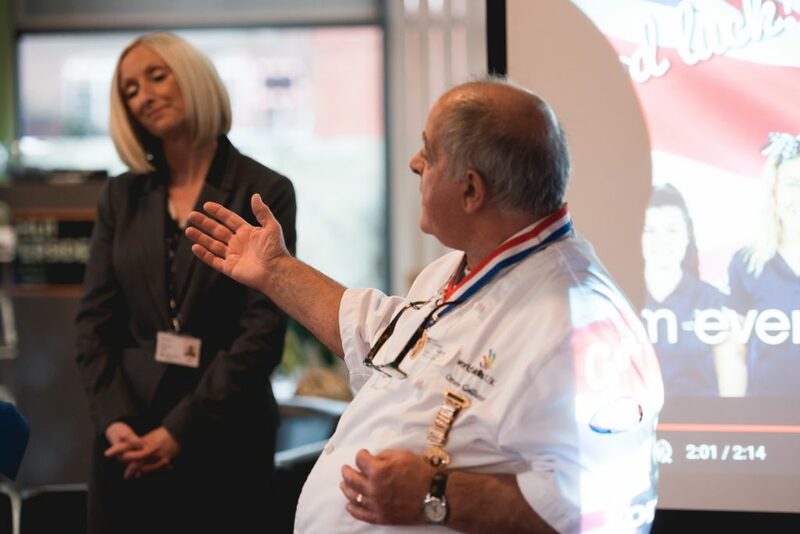 Join to learn to cook wonderful authentic Italian food with Omero Galluci, Master Chef, who represented Great Britain 5 times at the Frankfurt Culinary Olympics. Holder of over 400 Gold, Silver, Bronze Medals & Trophies. You are new to Italian cooking or you want to learn more! You want to surprise your family and friends with your Italian Culinary Skills. You love pasta and typical Italian ingredients but are nervous about preparing them at home. As well as learning about Italian, learning the history behing and enjoying with our fantastic lessons, our classes are a great way to improve your general cooking skills. 12 Lessons full of content and tips, wich you can consult again and again when preparing your delicious Italian Dishes. Omero Master Classes are valued at £110 each, you will 12 classes for have price each! If you haven’t cooked this sort of thing before, so much the better; Omero will give you, step by step all the guidance you need. You will get Lakefield College Certificate at the end. One Master Class with Omero Galluci will cost you £110. Imagine to have more than 10 Master Classes in once wich you can check again and again with no limit of time and just for half price! Everyone loves Italian cuisine, but do you know how to cook it? Italian food offers some great fresh flavours and loads of variety, but most of us are guilty of getting takeaway pizza and using pasta sauce from a jar. While there is nothing wrong with this, it is far more enjoyable and personally satisfying to have a go at it yourself. If you fancy getting a group of friends together for some homemade Italian food and fine wine, this course is definetly for you!. Throughout this pasta making class, you’ll learn the techniques needed to produce beautiful fresh pastas including Ravioli and Cannelloni. Perfect for pasta lovers, this class will give you the confidence you need to make your favourite pasta dishes at home, from scratch. Learn how to prepare a delicious dessert that looks just like the Cupola del Duomo of Florence! Pasta Frolla, Pan di Spagna, Cantuccini, Torta Caprese, Torta di Mele, Torta della Nonna, Meringa, Babà, Pastiera, Foresta Nera, Cassata, Cannoli…a sweet trip to Italy! Achieving an authentic pizza or pasta at home might seem difficult but it can be done without the right tools and with just a few ingredients. Follow Omero Galluci method and surprise your family and friends! Omero guides you through developing flavor with classic aromatics to make a heavenly brodo di carne, and shows you how to transform this classic meat broth into irresistible chicken noodle soup or decadent egg and parmesan stracciatella. e.
In this sauce cooking class you will master an area of cooking that is often considered tricky. You will learn that with just a few simple ingredients you can make a variety of classic savoury and sweet sauces that can be used as they are or as the starting point for plenty of exciting dishes. In this class with Italian Chef Omero, will teach you ins and outs of making three of Italy’s most beloved sweet recipes. You will learn how to make rich tiramisu layered with chocolate and espresso, panna cotta and crema al cioccolato. Aperitivo time, typically between 7pm and 9pm, serves three important digestive purposes. Learn how to prepare the famouse refreshing Italian Cocktails Vermouth from Turin, Campari from Novara, Negroni from Florence and the delicious Prosecco from the Veneto. During the ferragosto, the hottest month of the year, Italian are look forward to their cuisine’s rich array of salads. Italian pasta salad for example has a distinctly Mediterranean flavor, is fresh-tasting, and easy to make. There is a great variety of fish, including crabs, scallops, and squids – cooked in different consistencies. Among vegetables there are some special products, such as Trevisano radicchio and peas. Italian cuisine is filled with delicious meat courses: stews, ragouts, steaks, raw meat carpaccio and tartar. Chef Omero will show you how to prepare it! Italian desserts are full of grand tradition, and they’re universally delicious, combining just the right balance of bitter and sweet, tender and crispy. 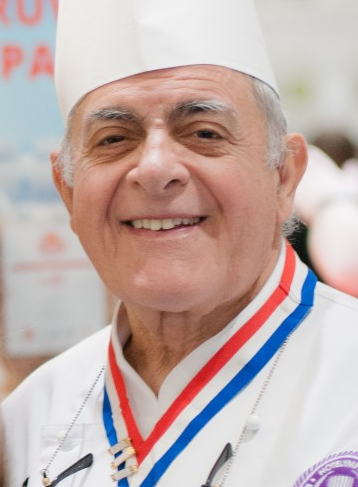 Join us chef Omero to learn how to make cannoli dough from scratch, roll and cook it to crisp perfection and complete with a luscious filling. 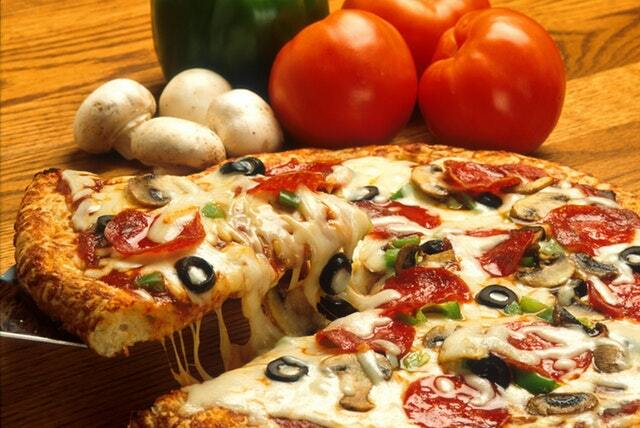 Prepare to have a deliciously good Italian time. Alla Salute! Omero Galluci has been the Executive Chef and Development Chef for companies as Compass Group, Merriot Hotel, Restaurant Associates. Chef Consultant for companies as Nestle Food Services. Omero have been extensively involved with competition work and particularly with the British Team of Chef. He has represented Great Britain five times as the captain at the Frankfurt Culinary Olympics. Holder of over 400 Gold, Silver, Bronze Medal & Trophies. particular interest in training and stimulating interest for cooking between the young, developing also competitions and courses for young people. Let me share with you my methods and tips that I have learned about Italian Food all over this years. Ready to learn how to cook Italian Dishes it once and for all? √ Real demonstration with tools and tips. √ Bonus #1: Italian Wine pairing Extra Lesson. √ Bonus #2: Private Group in Facebook. You can pay through PayPal or your credit card. You will receive an email with your information to access to the Course. When does the course starts? How long the course is? Between 10 and 11 hours, you can see all the videos of the course and do different quizzes. Will I get any certificate? Yes, you will have your Lakefield College Certificate after you finish all the lessons and do the exercices. Who Can I write to if I have any doubt? Can I download the videos of the course? No, it is not possible due the author copyright. But you cand always watch them through any device with Internet conection. Can I access thorugh different devices? Yes, but be aware that the licence of the course is personal and you cannot share it with other uses. If the system detects that the same accounts has been share with different users, can proceed to block the user. √ More than 30 tutorials in video step by step. √ Bonus #3: Access to the updates of the course, always.